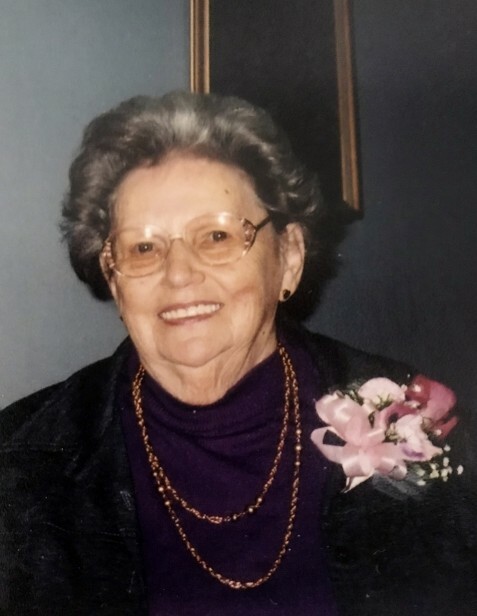 Sunny Ruth “Nana” (Chapin) Laubach, age 95, of 39 Neyhard Road, Orangeville, died at 12:01 a. m. Monday, April 15, 2019 at The Gardens of Orangeville where she resided for 5 ½ years. Born in Jonestown on January 9, 1924, she was a daughter of the late William O. and Mary E. (Chapman) Chapin. She resided in the Jonestown/Orangeville area her entire life and was a graduate of Benton High School. Sunny Ruth was last employed by Milco, Industries, Inc. at their Berwick and Bloomsburg plants. Previously she worked at the former Woolworth Store in Bloomsburg. For many years she and her husband operated two stands at the Bloomsburg Fair and they also had a stand at the Lycoming County Fair in Hughesville. She also assisted her husband in operating the family farm. She was a long time member of the Orangeville United Church. Sunny Ruth enjoyed cooking and baking. She also loved music, especially listening to hymns. Her favorite activity was spending time with her large family. In addition to her parents, she was preceded in death by her husband, Elmer Darwood “Pop” Laubach on July 10, 1999; three brothers: A. R. “Bud” Chapin, Gerdon “Chip” Chapin, William O. Chapin, Jr. and a sister, Atta M. Knorr. She is survived by three children: Roderick D. “Rod” Laubach, wife Janet, Mifflinburg; Gloria Ann Clossen, Stony Brook Circle; Ronald G. Laubach, wife Barb, with whom she resided; 11 grandchildren; 20 great grandchildren; several great-great-grandchildren; and a number of nieces and nephews. Funeral services will be held on Thursday at 12 noon in the Dean W. Kriner, Inc., Funeral Home & Cremation Service, Benton, with her pastor, Pastor Mark Rowell officiating. Interment will follow in St. James Cemetery, near Bendertown. Viewing will be on Thursday from 10 a. m. until the time of the services.